“I am a contract labourer who makes Rs 2,500 a month, if work is available. When I learnt that my son, Deb, has a tumour in his liver, I panicked but I knew that I had to take an action fast. People from my village, who work in Bengaluru, told me that there are very good hospitals in Bengaluru for cancer treatment. 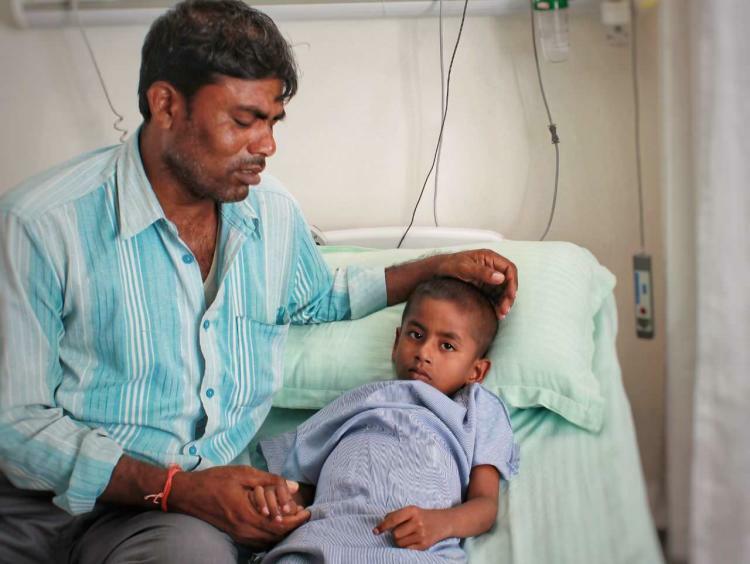 So I borrowed Rs 3,000 from relatives and took the very next train to Bengaluru from my village in Malwa, West Bengal, with my son.”-Santhosh Mandal, father of 6-year-old Deb Mandal who has liver cancer. 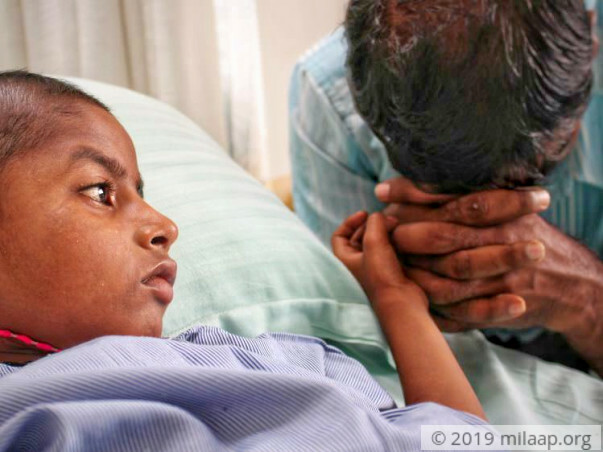 When Deb complained of pain in his tummy one day, Santhosh and his wife, Jhuma, believed that it was because he had eaten something rotten. After all, the family was used to eating old food because they couldn’t afford groceries for everyday use. But the pain got worse and was accompanied by a high fever that refused to go away. 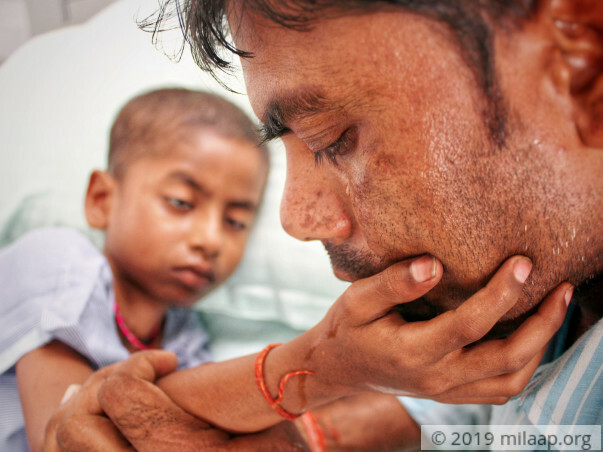 “The doctor at the medical centre in our village gave him a few medicines. They would stop the fever for a few hours, days even, but it would return later with full might. An ultrasound confirmed that Deb had a tumour in his liver that was growing bigger and bigger every day. 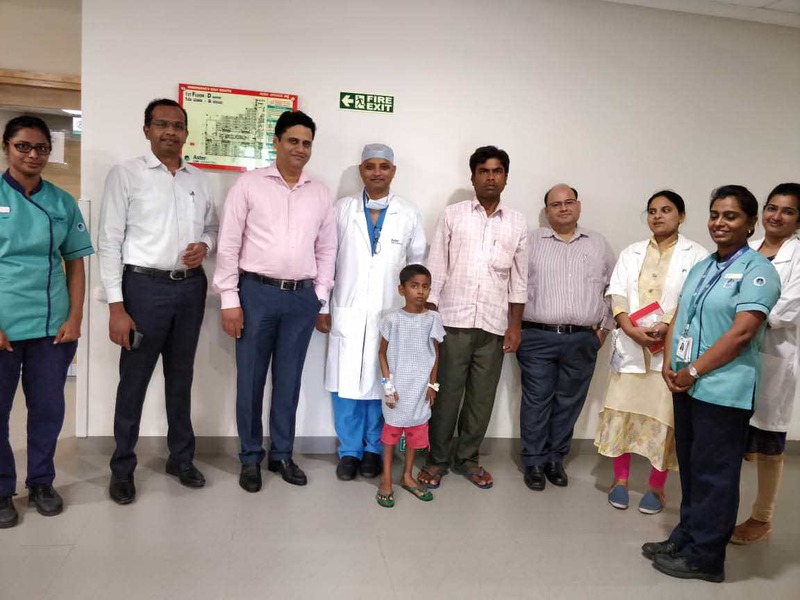 We were advised to take him to Bengaluru for excellent treatment. I knew that I wouldn’t be able to pay for his treatment, but took a leap of faith anyway. 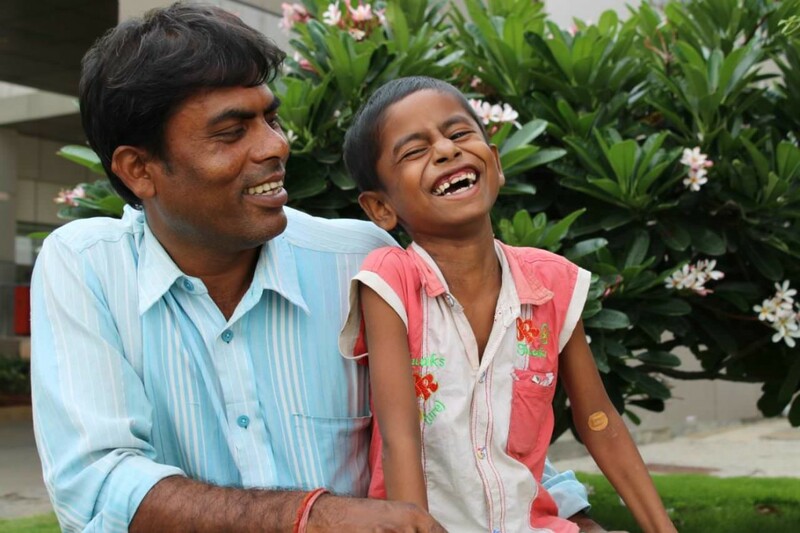 I am poor, but could I let that excuse allow cancer to take away my child’s life?”-Santhosh. Santhosh was able to take Deb to a hospital in Bengaluru where he underwent 6 cycles of chemotherapy for his tumor. With help from kind people, he was able to get the treatment free of cost but he could not afford to get proper lodging for himself and Deb. They were forced to put up in a building that was under construction. “I don’t have enough money for food, how will I pay for a room? We have a mud house back home in West Bengal, so these difficulties have always been a part of our life. We have never slept on a soft mattress bed before. But I am sad that I couldn’t make Deb sleep on a good bed when he was so sick. He liked the hospital beds so much when he was undergoing chemotherapy that he didn’t want to leave the hospital despite the pain and fatigue that he was going through. This is a poor man’s fate; what else can I say?”-Santhosh, with tears in his eyes. 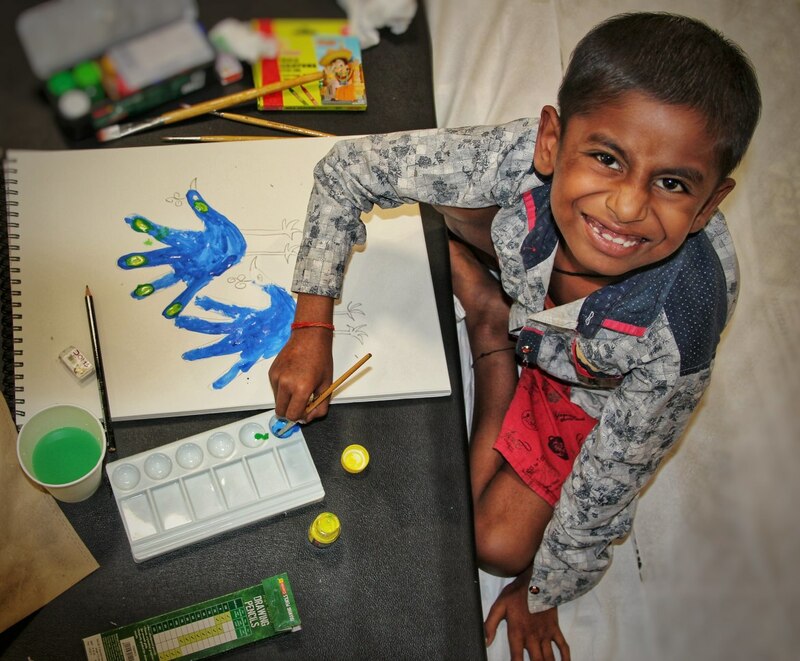 Santhosh was relieved when the doctors told him that Deb was responding well to chemo. But that happiness was short-lived because latest ultrasounds showed that his tumor is still intact. 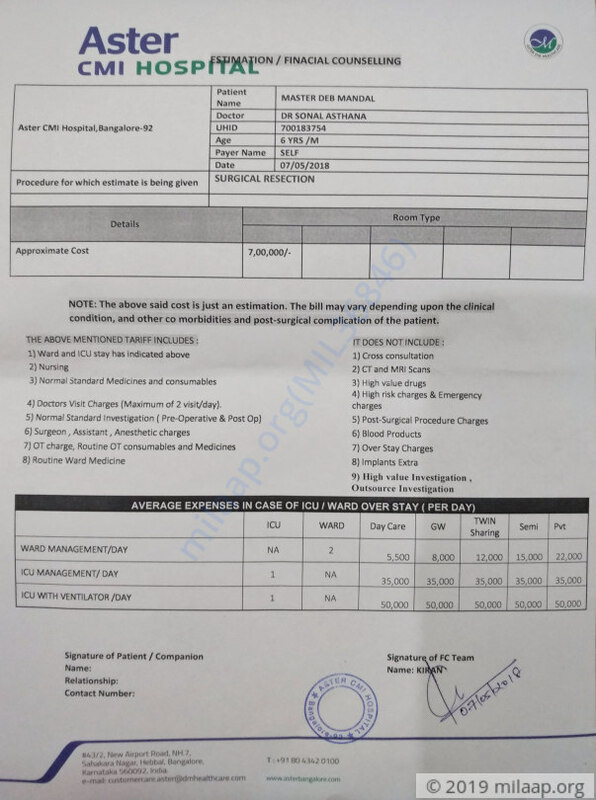 Only a surgery can help him now, but it costs Rs 7 lakhs, a sum that Santhosh has not seen in his lifetime. Deb’s father, Santhosh had to leave his wife, Jhuma and 2-year-old daughter in his in-laws’ house before coming to Bengaluru with Deb. He had promised her that he would take Deb back home healthy. But now things look very grim for this desolate father. “Deb cries all the time now. He wants to go back home. He is big enough to know that his tumour is killing him but he tells me that he’d rather go back home than suffer. He used to understand when I left him alone at the building we stay in, to go to work, but nowadays he doesn’t want me to leave his side. I also feel like crying, but if I cry, my son will lose all hope. I am holding on. I hope God will find a way for us.”-Santhosh, Deb’s father. 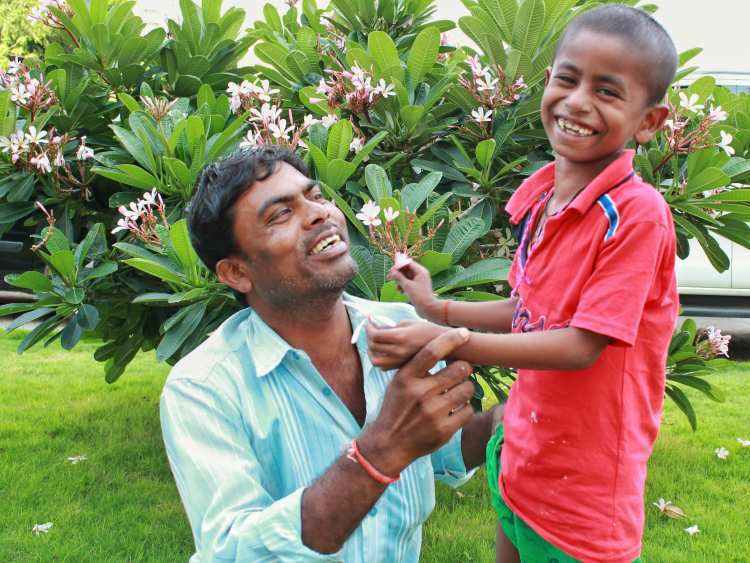 Deb Mandal is doing good, he is going to school, doing his check up once in three months. Deb Mandal is doing good, discharged from Aster. 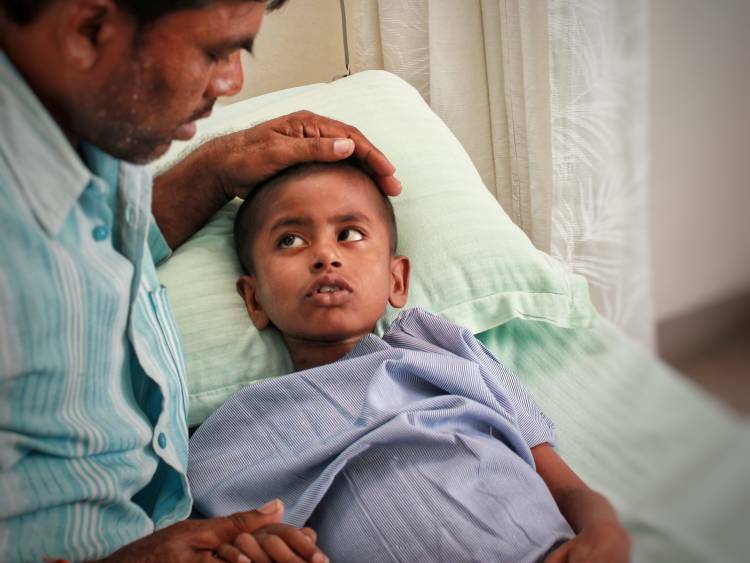 He was sent back to vydehi hospital after his last check up,because they referred him to Aster. Even those doctors are happy with his health now. He is fine and happy, but stitches are yet to be removed. He will be in LKG this year, so they are going back to native. Thank you all for your tremendous support! 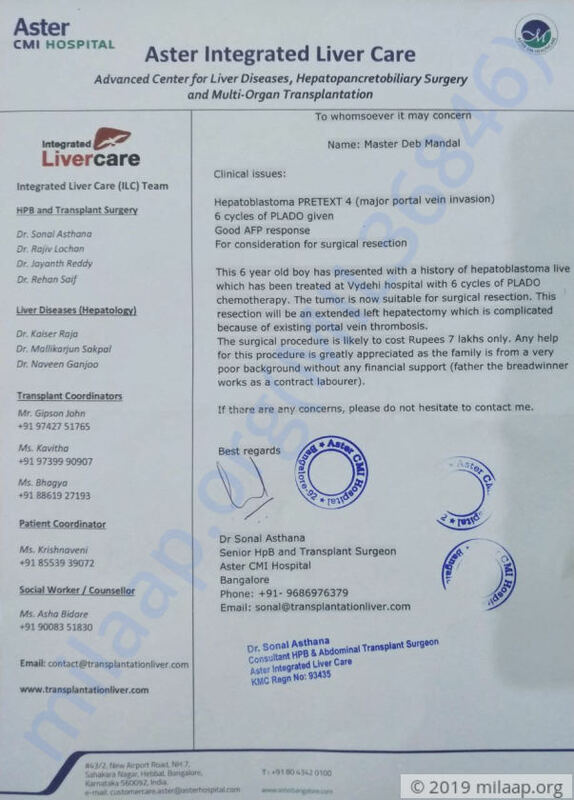 Deb underwent a successful liver operation and he has recovered. He's getting discharged and we have added a picture of the little one for you. This couldn't have been possible without the support of all of you, The family is really grateful to each one of you for the love and support which have shown towards him. God bless ! Get well soon ! !